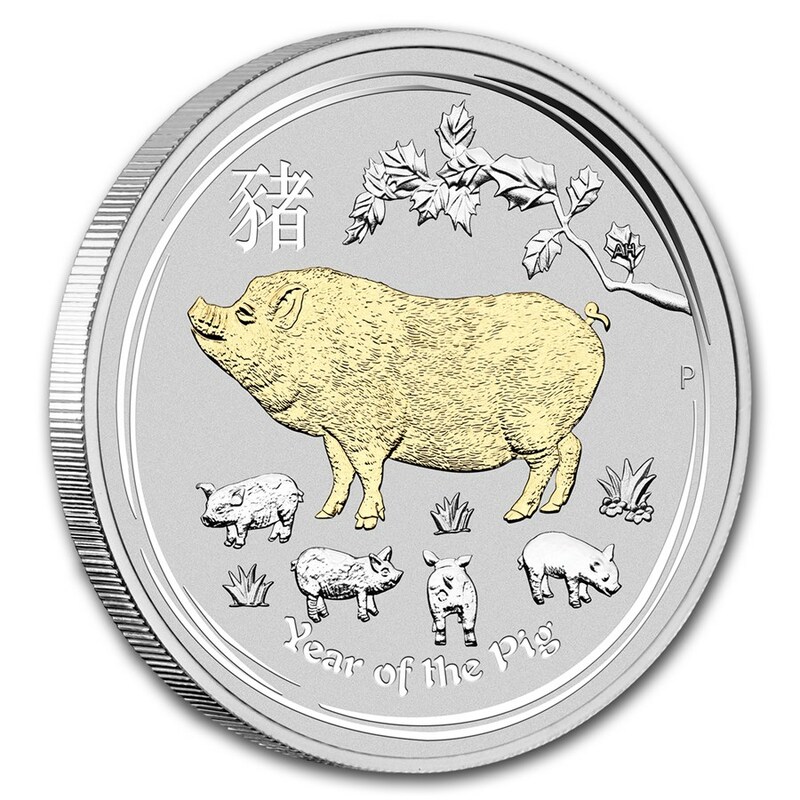 Striking contrast adds beauty to the already inspirational design of Perth Mint's Year of the Pig Silver coin. 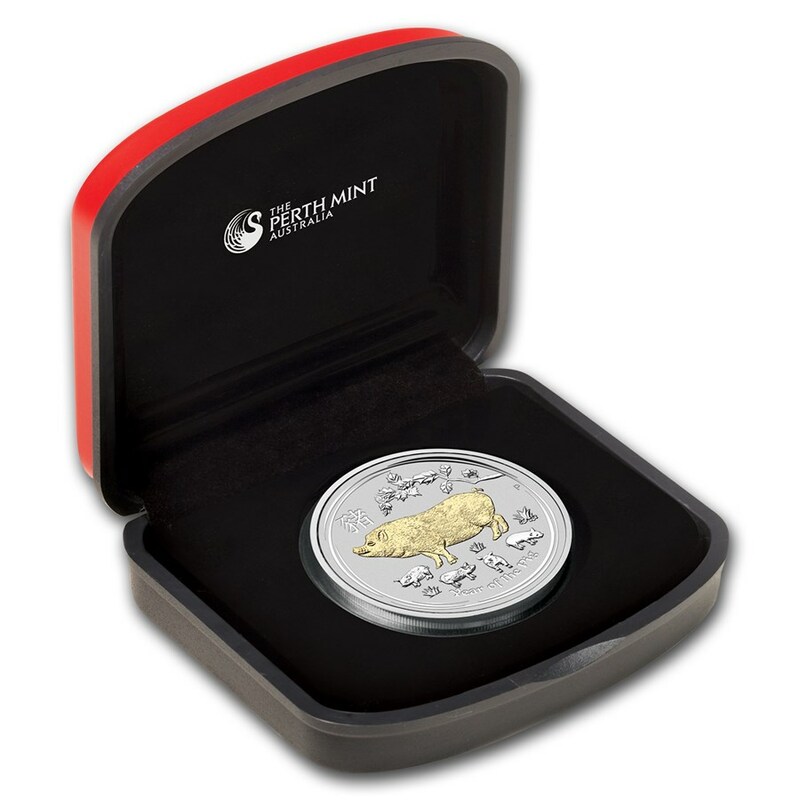 The Year of the Pig Gilded Edition coin is housed in a presentation case and custom-designed shipper, accompanied by a numbered certificate of authenticity. 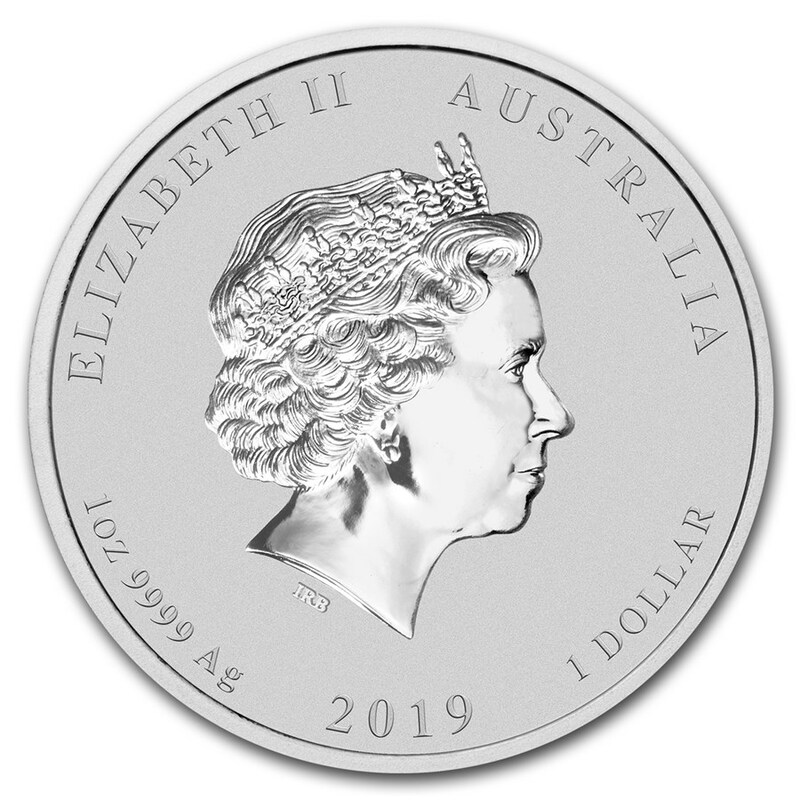 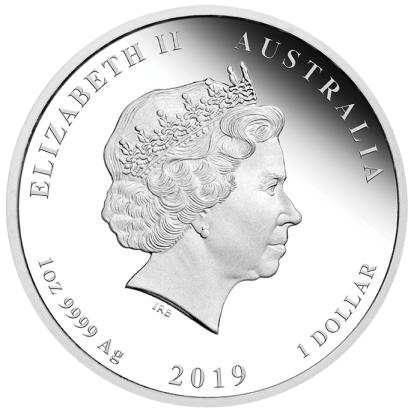 Obverse: Portrays the Ian Rank-Broadley likeness of Her Majesty Queen Elizabeth II, surrounded by the date, face value, Silver weight and purity. 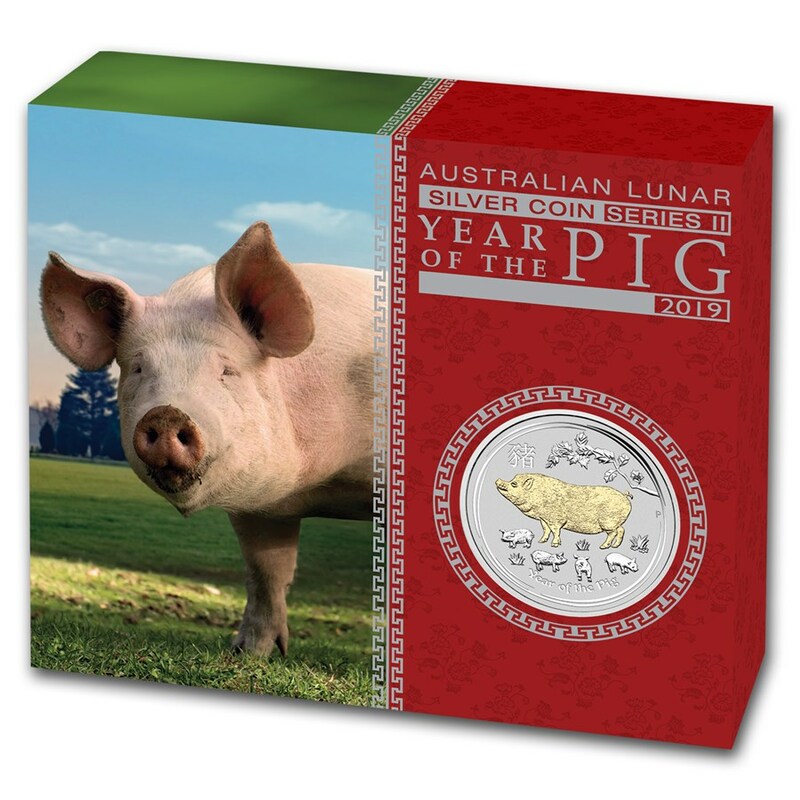 Reverse: Depicts a domesticated pig, gilded in 24 karat Gold, along with four piglets amid stylized foliage. 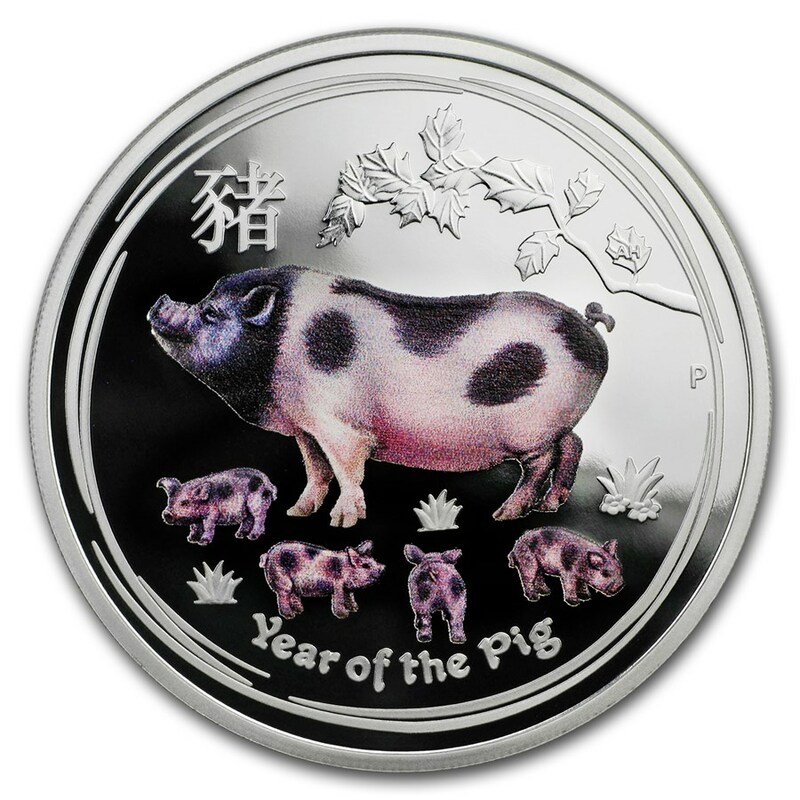 The Chinese character for "pig" and the inscription "Year of the Pig" also appear in the design with The Perth Mint’s traditional "P" mintmark.